This book shows how to design interactive charts and maps for your website, begins with drag-and-drop tools and gradually work our way up to editing open-source code templates, includes step-by-step tutorials, video screencasts, and real-world examples. This book is a beginner-friendly guide to the Python data analysis platform. With data analysis and numerical computing tutorials at your disposal it offers you the chance to discover how to make the most of IPython right now. Discover why Python is so loved in the data world and revolutionize your work today! Thiis is a book about interface and interaction design, structured as a pattern language. It features real-live examples from desktop applications, web sites, web applications, mobile devices, and everything in between - a definitely good book to study before new apps. The main topic of this book is application development using PyQt. Whether you're building GUI prototypes or full-fledged cross-platform GUI applications with native look-and-feel, PyQt is your fastest, easiest, most powerful solution. This book melds psychology, marketing, and design concepts to show why we're susceptible to certain persuasive techniques. Packed with examples from every nook and cranny of the web, it provides easily digestible and applicable patterns. Creating a great user experience doesn't have to be a lengthy or expensive process. This hands-on book shows you how to use Lean UX techniques to do it faster and smarter. 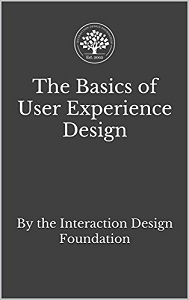 If you're looking to gain an introduction into the world of user experience (UX) design - or maybe even freshen up your knowledge of the field - then this UX design book is the ideal place to start. Menu selection is emerging as an important mode of human/computer interaction. This book, devoted to the topic, provides detailed theoretical and empirical information of interest to software designers and human/computer interaction specialists, etc. 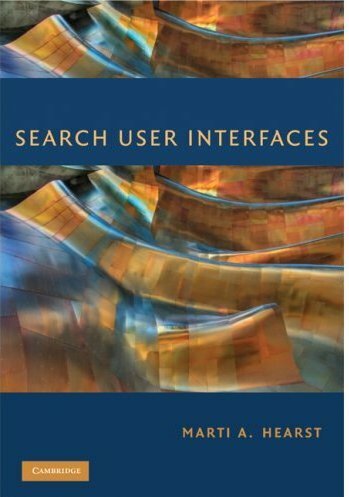 This book focuses on the human users of search engines and the tool they use to interact with them: the search user interface. The truly worldwide reach of the Web has brought with it a new realization among computer scientists and laypeople of the enormous importance of usability and user interface design. Get a complete grounding in the exciting visual world of Canvas and HTML5 using this recipe-packed cookbook. Learn to create charts and graphs, draw complex shapes, add interactivity, work with Google maps, and much more. This book takes you through the ins and outs of SVG, beginning with basics needed to create simple line drawings and then moving through more complicated features like filters, transformations, and integration with Java, Perl, and XSLT. This book is presented in a workbook-like format that lends itself to people who want both a solid foundation in the main aspects of SVG and who are willing to get their hands dirty with the fertile soil that SVG has to offer.